By Xah Lee. Date: 2018-05-07 . Last updated: 2018-10-22 .
turns out, it's just a toy model car someone put it under. But great idea. somebody should design a dedicated one. 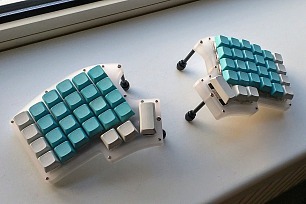 The Keyboardio has a unwieldy over engineered octo feet. 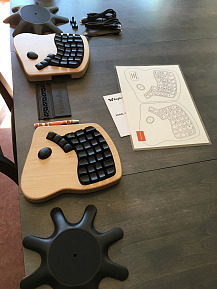 And some diy keyboard has long screws as legs poking a hole in your backpack. the toy cart is great. 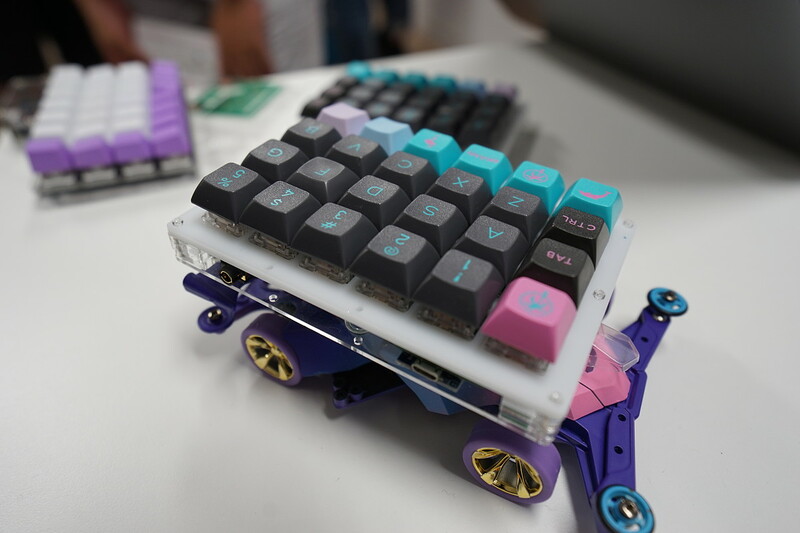 it'd be more artistic and gadget fun than any artistic keycaps, and actually practical. has mechanism under to adjust inclination. The mechanism must be very simple. If can't be done simply, than, just use fixed inclination. the wheel must be lockable. and it must be actual functional wheel to be fun, not decorative one.